BIRMINGHAM, England—The fate of 2.9 million European Union nationals who migrated to the United Kingdom now rests on a final legislative skirmish that will see Britain leave the EU. 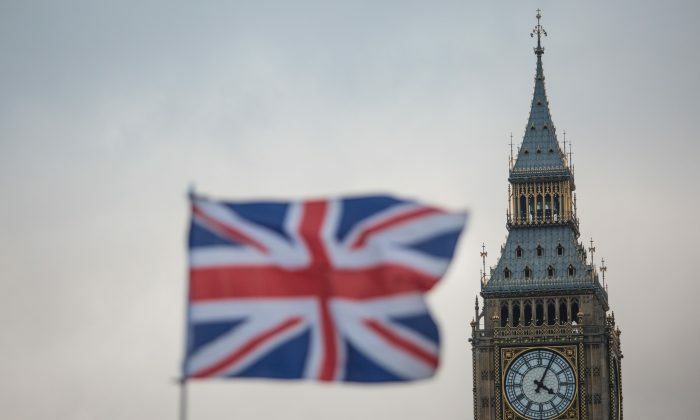 As Britain lurches toward leaving the EU, a last-ditch move by the Parliament’s House of Lords could force the government to guarantee permanent residency to the 5 percent of the population that comes from EU countries. 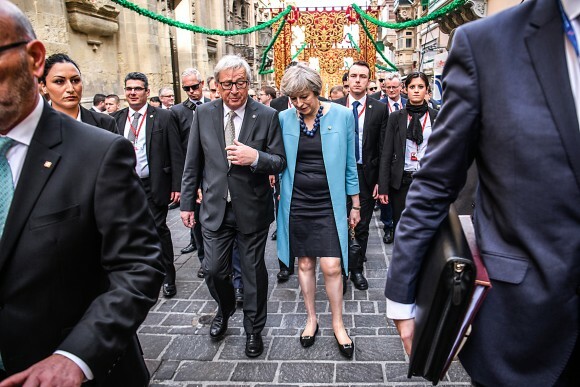 Brexit—the United Kingdom’s exit from the European Union—is a complicated affair that begins with invoking Article 50, an EU treaty clause that triggers divorce proceedings and kickstarts a two-year settlement negotiation. On Feb. 8, members of the British Parliament (MPs) overwhelmingly granted the government permission to invoke Article 50, in a simple bill without caveats. This “carte blanche” for negotiations infuriated many “Remainers” (those who voted to stay in the EU), in part because it offered no guarantees to EU migrants. That bill still has to pass through the House of Lords, however. As the bill currently stands, the fate of EU nationals will be decided in the course of Britain’s exit negotiations. But the House of Lords may challenge that decision. The House of Lords is the U.K.’s second chamber of lawmakers, with the power to amend but not veto, through which all bills must pass. Whereas MPs are elected and beholden to constituents, Lords are appointed for life and beholden only to their consciences and Party whips (who enforce the prerogative of the party leader). Lords often send bills back to MPs with amendments, and if those are not accepted, MPs amend the bill and send it back to the House of Lords, and so on, in a process dubbed “pingpong,” until the bill is finally agreed on. On Feb. 20, the Lords started to debate the Brexit bill. Where MPs gave the Conservative government carte blanche over the bill, Lords may try to shoehorn in amendments. If the bill pingpongs, that process could go on for weeks. If sovereignty is to mean anything, it has to mean parliamentary responsibility. The fate of EU nationals is one of the key issues that many believe the Lords may seek to amend. An amendment guaranteeing EU nationals permanent residency was already narrowly defeated in a vote by MPs. The greatest impact the Lords could have is to delay the passing of the bill into law by a year. If they did, however, some suggest the government would trigger an election and put constitutional reform on the agenda, with an aim to scrap the House of Lords or curtail its powers. It is thought that the Lords will pass the bill without too much fuss, but it could be a white-knuckle ride for the Conservative government. Many MPs are answerable to constituencies split down the middle over the issue of Brexit, but Lords regard themselves as answerable to their role of safeguarding the constitution. Stories abound about EU citizens who have lived in the U.K. for decades trying to apply for British citizenship, only to run afoul of the complex bureaucracy or criteria and have their applications rejected. 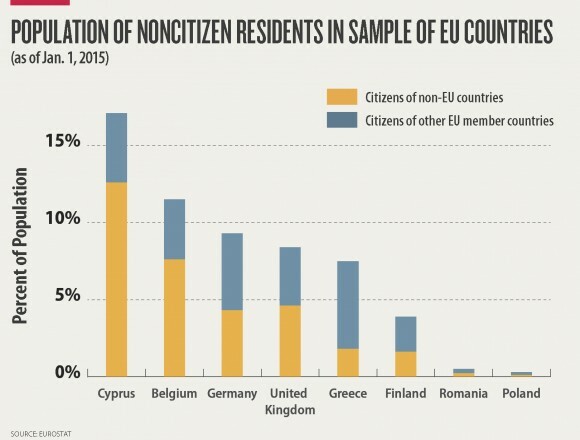 A portion of those who voted for Brexit would be happy to see the residency of current EU citizens protected. However, some voted for Brexit because they felt their towns and services were swamped by Eastern European migrants, whom they would like to see ejected. Those EU migrants will become a bargaining chip in the negotiations that will follow once Article 50 is invoked. Those negotiations will decide how the U.K. disentangles itself from the EU, including what happens to U.K. expats currently living in EU countries. Many analysts believe the EU will want to put Britain through the wringer to scare other countries out of trying to leave the EU. Part of the difficulty for the U.K. government, the MPs, and the Lords is that people supported Brexit for different reasons. The referendum ballot simply asked whether Britain should leave the European Union. It said nothing about what should happen after. As a result, Brits have varied ideas about what they want from the divorce settlement and in life as a single nation.